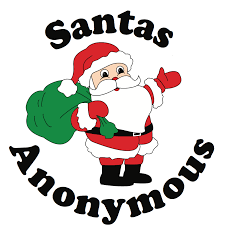 Westville School District is pleased to announce the release of the annual Santas Anonymous Pre-Application. This pre-application is available for Westville School District families who will not be receiving any assistance from outside sources during the Christmas season. Pre-Application forms have been sent home to students at the Trinity Church Head Start program, Judith Giacoma Elementary School, and Westville Junior High School. For your convenience, the form may also be accessed at the following link. Users may print off the form, fill it out, and return to the school. For those seeking to participate in this program, forms should be turned into the school school nurse by October 18. If you have questions or concerns please contact Debbie with Santas Anonymous at 267-7737. Thank you to the coordinators and many volunteers who make this a special annual event for the Westville Christmas season.